Throughout the years Nikki had various different nicknames, some more surreal than others; to me she was ‘Hunski Didley McTavish’, HDMT. Every night for the 5 years since the previous bout of illness, whether I was home or away, I‘ve made a point of saying ‘Goodnight Didley’ at bedtime; last night she would hear it for the last time. Nikki waited till her Mum and I were nice and relaxed watching Pretty Woman and then moved on peacefully to the strains of ‘Wild Women Do’; we knew she would pick her moment! We will be in touch regarding the funeral arrangements, via the blog and grapevine shortly; it’s currently looking like the end of next week (Thurs 25th). All will be welcome and Nikki will get the afternoon tea she so looked forward to. Take care and see you all soon. Nikki, you meant so much to so many. You touched my life in a very special way, in a unique way.You meant the world to me, lee, Lewis and Hannah. Your friendship was priceless. You are resting now my lovely and free from pain, we wouldn’t want to wake you to suffer again. But will miss you dearly. Good nite, god bless “nikki-ann” x x x we love you. Nikki, such a brave, strong and gorgeous girl, an inspiration to us all. Our thoughts are with you, Pete and the whole of your family. And I’ll be there with you. It was a privilege and a pleasure to know and work with you Nikki. Without a doubt one of the nicest women I have known in my life. At peace & painfree after such a battle, the courage you had was amazing. Much love to you all, what a beautiful family you all were for Nikki. I’m sure there will be healing in the tears when you’re sad & in the laughter when thinking about the good times. No more pain Nikki – we din’t know you for very long but it was such a pleasure and a joy to share time with you. There are no words. I’m sat here trying to write this at work and I can’t see the screen for tears. You were such an amazing person. Everywhere you lived and worked you lifted people. Personally speaking you were an amazing friend to me and my nearest and dearest. Rest in peace Nikki, you will never be forgotten. So sorry to hear the sad news of Nikki’s passing. I echo what everyone else has said. Everyone has such beautiful words for Nikki and it is not surprising. An amazing woman who has shown such courage and dignity throughout her illness. I dont know many people who could face the hurdles and obstacles that Nikki did with such determination and grace. Sending love to Pete and all of Nikki’s family. And of course Sam and the rest of Nikki’s many friends. So loved by everyone. “Was she loved because her eyes were so beautiful, or were her eyes so beautiful because she was loved”. Having read all of the above, I echo all the words said, it shows just what a lovely, caring, strong, amazing & genuine person Nikki was. I feel so sad right now and can’t even imagine how close friends and family are feeling. It is such sad news. Nikki was such a brave and inspirational person. Nikki, you could teach so many people about the value of life. You embraced life and loved life in the time you had here, more than most people do in 80 or 90 years! The strength you showed in recent months was astounding and wonderfully inspiring. You leave a huge legacy of hope and of dreams and a ridiculously huge amount of love! I’m sending oodles of your fabulousness back to you now Nikki to wish you the peace you more than deserve. I also sending oodles of love to those closest to you …… to your family, to Pete, to Sam, to all of your friends, and last but not least, to your hairy boy. I know he’ll be missing his Mum. I keep starting to write a message and giving up as nothing seems quite right. I am glad that there is no more pain for you, but so sad that you have gone. You are never far from my thoughts and your courage and strength is a constant source of inspiration and a measure of just how amazingly brave one person can be. You have touched so many people – your light was so bright. Pete there really are no words – I am so sorry you have had to go on this journey. We are sending all our love and prayers to you and all of your and Nikki’s family, may your pain ease but your memories never fade. Pete & all the family, I hope that you can take some comfort from all the responses on this blog. Nikki was such an amazing person who touched the lives of everyone she met no matter if it was a brief meeting or lengthy friendship. She was a complete inspiration & someone to aspire to be like. We will never forget her. Take care of each other, one day the pain will lessen & the memories will be happy. We’re so very sorry for your great loss. Thinking of you. Words fail me but I just want to say how sad I am to hear the battle is lost. Pete, I hope the joy Nikki gave sustains you. We will all miss her but surely not as much as you and her family. So difficult to find the right words. Nikki it has been an absolute pleasure and our privelege to have known you – a truly beautiful person in all ways. Thank you to Pete and Janet for thinking of others, keeping everyone informed, and sharing some wonderful photos – it must have been so difficult to write. Hope you can find some comfort in knowing how very much loved and admired Nikki has been. As per several other comments posted here, it is difficult to find the words to convey the deep sense of sadness felt at Nikki’s passing. But just like so many others have expressed, Nikki’s (and indeed Pete’s) courage has been truly inspirational. We will always remember Nikki’s zest for life and that infectious sense of humour. Thinking of you Pete, and will see you soon. Nikki will forever be in our hearts. God bless you Nikki, thank you for being an inspiration to me, as a beautiful kind person that cared so much about others; a wonderful role model as a nurse; and for the amazing strength and courage you’ve shown us all. Our thoughts and love to you, Pete and your family. Precious memories of a beautiful friend. The first time I met you Nikki I knew we would be great mates, you were so young, newly qualified and you had the thickest french plait i had ever seen!! Over the course of time we did become good friends, we had such a laugh at work, you even taught me to loose my yorkshire twang and swear in a southern accent!!! Your sense of fun, your ability to touch people, to care for others, even more than their families did sometimes, were gifts that made others want to be like you – myself included. The beautiful picture Pete has chosen to grace the blog today will be how I remember you – happy, smiling, full of life and bursting with love. To Pete – your amazing, you have done her proud and you are so loved for that. Sending you and all Nikki’s wonderful family strength, courage and love to get through the hard days to come. Have sat, and wept, and tried to think of words befitting one of the most wonderful people I have ever met, and find myself unworthy. At the same time I feel blessed to have called you a friend for nine years, and cheated of all that could have been. You were/are one of my favourite people in the whole world, genuinely the girl with a smile in her eyes, an infectious grin, nothing but a positive attitude, and a wicked sense of humour that always seemed to hit the mark whoever was the target! I count myself lucky to have known you, will never forget you, and will endeavour to approach life in the same vein I saw you do so, particularly in the last 6 months. Pete, I really cannot imagine how you are feeling, I know you are a great guy, and Nikki loved you with every cell of her being, my sympathy to you and Nikki’s family, it seems selfish to think of my feelings, when you have lost so, so much more. Your smile,caring,loving nature and sense of fun will live for ever in my memory Nikki.You put up with so much pain etc. over the past few months with so much dignity and optimism that would teach lesser mortals so much. To Pete and the rest of the family you were all such a tower of strength and support to her and in the difficult times ahead try and visulise all the fun times and memories you shared. I feel so privileged to have known and worked along side you, never will supervision be the same, I thank you for the advice you gave on a professional and personal level, your love of life and everything around you is infectious, inspiring people around you including my self, to lead a positive and happy life. My thoughts are with Pete and your family. As with many others, words fail me. You were the best mentor I had and I feel so fortunate that I had the opportunity of working with you, I will always be grateful for your guidance and support which has enabled me to get me where I am today. Your courage, bravery and strength has been truly inspirational. My thoughts go out to all your family and friends. A wonderful sunny person who made everyone’s lives that little bit brighter. 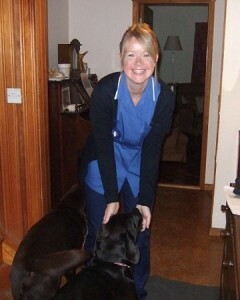 Nikki you’ll be sadly missed but warmly remembered. Our thoughts and best wishes to Pete & family. You lightened the lives of all you met. You have suffered beyond belief and it is now time to sleep tight and watch over your family from heaven. My thoughts are with Pete and Nikkis family, you have a wife,daughter,sister,niece,auntie you can be so very proud of. Pete what a wonderful picture to have chosen for today. Nikki took me under her wing when I was a green student at Goole! what fun times we had causing Sr Railton no end of bother! Nikki taught me so much about the job and myself, for which I am so very greatful.Her infectious humour and smile will be forever in my mind. I cannot begin to imagine how heavy your hearts must feel or how you will find the strength to go on without this beautiful girl. I know you will though because all of you shaped this wonderful woman into who she was, which means you are truely special people who Nikki adored and treasured. Thankyou for keeping us all updated and feeling close to Nikki through this blog. I also wanted to say what a beautiful photo of Nikki you posted yesterday and what a peaceful and loving picture your words painted. We are completely at a loss as to where to begin, your beautiful smile, your wicked sense of humour, your ability to touch every single person you meet or your utter devotion to Pete, the rest of your family and friends. All of these things are what make you, you – the most amazing Lady in the world. We are so very privileged to know you and even more so have you as a friend. No-one can ever fill the void that has been left. We love you so very, very much and hope you can rest peacefully in this, your final ‘kippy, kippy’. Pete, not only have we been blessed to have Nikki in our lives, but we are equally as lucky to have you too. We know that you will find the strength to get through this, lord only knows where from, but you will – Nikki wouldn’t want it any other way. Just so as you know, we will always be here for you, come what may. To the rest of Nikki’s family and masses of friends, we send to you our thoughts, prayers and much love. Reading through the comments here has shown me what a strong and truely inspirational person Nikki was for so many people. Having heard this sad news through the grapevine, I am greatly saddened that I never took the time to meet her more than fleetingly so many years ago. My thoughts and prayers are with Pete and Nikki’s family. We didn’t get the chance to get together as often as I would have liked, but I’ve been remembering the good times: skiing (and recovering afterwards!) Leeds Castle, seeing in the Millennium. Very hard to to believe that there won’t be any more. Nikki was funny, generous, kind and warm hearted, and her grace and strength over the last few months has been incredible and inspirational. There is great saddness in our hearts and tears running down our faces but in all of this I would like to thank God for Nikki and her life. My life is so much richer for having known her. A beautiful, kind, selfless, warm and generous person in every way. Her words keep ringing in my ears-” I am so glad that I have got this and not my mum or my sister” She bore her cross with immense poise and inner strength. Her loveliness never diminished even though she was in great pain. God Bless you Nikki and sleep well. You will not be forgotten. Pete you have been an absolute rock for her. In quietness you showed your strength and love for her.You chose well for the last post- this is how I remember her and will always do. the words are beautiful and heartfelt. I pray for strength and grace for you, but remember you are not alone – we will be with you in your grief and also in the celebration of this amazing person’s life with you. Carol,Allen,Shelley & Marcus- I don’t know you personally but have heard loads about you all- all lovely things from Nikki. I am so sorry for your loss. Thankyou for giving all of us the opportunity for having known Nikki, you daughter and your sister. She was an absolute angel! Goodnight Nikki and God bless. I am so glad to have known you and have so many happy memories of our family holidays together. You are the bravest and most inspirational person I have ever met and you will be deeply missed but Heaven has gained a true angel. You will live forever in our hearts. There is no pain comparable to that which comes in grief – To Pete and Nikki’s lovely family, you are all very much in our thoughts. What a lovely picture of Nikki, the smily, happy face that we remember. Our love goes out to Pete, Carol, Alan, Shelly and all the family. Uncle Pete, Joseph wants me to tell you that Auntie Nikki will always be there for you to talk to her up in heaven. It has been a privilege for us to have known Nikki and she will remain in our hearts forever. A very loving person who was a credit to the nursing profession and who’s love for Pete and her family and friends was something very special. Just reading all the messages on here and facebook just shows what a wonderful person she is. whatever we were to each other that we still are. Call me by my old familiar name; speak to me in the easy way, which you always used. Put no difference into your tone; wear no forced air of solemnity or sorrow. Laugh as we always laughed at the little jokes we enjoyed together. Play, smile, think of me, and pray for me. Let my name be forever the same as it always was, let it be spoken without an effort, without the ghost of a shadow on it. Life means all that it ever meant. It is the same as it always was; there is absolutely unbroken continuity.I am but waiting for you, for an interval, somewhere very near, just around the corner. ··· All is well. Sweet dreams Nikki. We only knew you for a very short time, but it was fun and you entered our hearts forever. Gone from our lives, but never forgotten. With loving thoughts to Pete and all the family and pets, your care and love for Nikki is a tribute to how special she was to all who knew her. We have maybe only met a few times some years ago, however the sunny, bubbly, fun girl will be forever safe in her family and friend’s memories. You touched their hearts and minds. We wish you a peaceful rest after your long struggle. For the many friends and family our hearts and thoughts are with you all now and in the difficult weeks and years to come. I din’t know you well, but I do know that you were a lovely caring girl with a happy smiling face and someone who always looked out for her little sister, along with the rest of your wondeful family. All these wonderful messages just show me how really big your heart was. My thoughts are with Pete and all your family at this time. I only knew Nikki via her lovely Mum, Carol. I have been constantly amazed at your family’s strength, courage and determination – reading through everyone’s comments, it is obvious how much you are cared for and admired by everyone who knows you. You must have been so incredibly proud of Nikki, as she so clearly was of you. You have all been truly inspirational. Fondest thoughts at this difficult time. Sending Love to all your family …..
You and your wonderful family have always been special to us and the beautiful memories of you will not fade as you are in our hearts for ever. If only everyone could be like you, the world would be a better place,I am only sorry I that I cannot be with your family today but I know you understand. Lesley,Stephanie, Matthew and Joshua are there for me. My wife and I watched Restoration Man last night and were utterly heart broken by the loss of Nikki. Like most people we both have lost family members to cancer. You both dealt with it with courage and admiration and we were so happy to see Nikki see the house before she passed. Pete, we wish you every happiness for the future and hope the trust goes from strength to strength. I watched your story last night on Restoration Man. I will never meet you or your darling wife but the courage, tenacity and good humour that you both showed througout the programme and confirmed on this website is both humbling and inspirational . We like many watched the programme with tears in our eyes, what a lovely lady, so sad she never got to see the finished house which is truly beautiful. We wish you and your family all the very best for the future. Wow, was expecting to watch a programme about restoration and got totally blown away by the tradegy you have encountered. My husband and myself watched the programme sobbing and what shone through more than anything was what beautiful courageous people you are. I had a cervical cancer scare myself last year and dismissed it as something curable. Your story brought me back to reality and shocked me into just how indiscriminate this awful disease can be. Hopefully Nikki’s Trust can make a difference, your story had definately made a difference to me. Just watching Restoration Man, and have been totally shocked by the events unfolding therein. I certainly didn’t expect to watch the programme in tears! Nikki and you faced the inevitable with such courage and dignity, and I just wanted to wish you and your family all the best with Nikki’s Trust. just watched the Restoration progamme last night – missed it first time around. A truly inspirational lady. I watched your programme on restoration man last night, and was deeply touched by your story. I am keen to bring an awareness to cervical screening and for younger women to get screened as early as possible. There are too many tragic stories of young women losing their lives to this form of cancer. May I send my best wishes to you and your family and wish you love and happiness in your fabulous home. I’m a rising 73 year old and live in Melbourne Australia. I was luck enought to see the restoration programme last night (much more uplifting and entertaining than the third test at Old Trafford. !!!!!!!! Nikki and Pete are true inspirations and I so admired Nikki’s incredible strength as her time came closer . I have Stage 4 lung cancer and chemo has been stopped. The oncologist at The Peter McCallum Cancer Instute in Melbourne is reluctant to put on a time line..however I would like to draw on the strength and unconditional love between Nikki & Pete as I continue my journey over the next 4 months or so. We don’t have a beautiful old mill to restore,rather personal relations between my wife and I .
I just had the pleasure of watching Restoration Man and was incredibly moved to tears with your story. I don’t know if I would have had the courage or even the desire to finish the project after your devastating loss. Your wife must have been a tremendous person. My family wishes you all the best for your family and I will be encouraging my daughter to get her vaccination for HPV.